Does anybody know the outcome of this meeting? 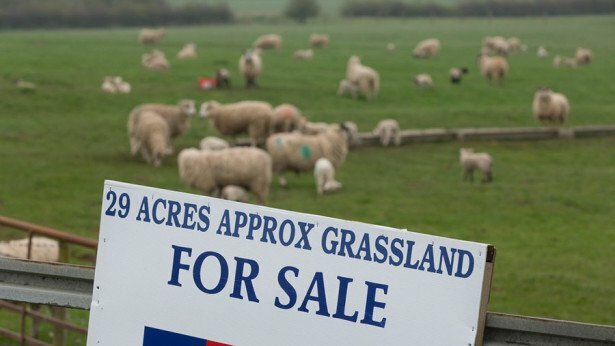 Which farmland are they thinking of selling in particular I wonder? To consider the findings of the scrutiny task and finish group: smallholdings estate (county farms) and to recommend the report to the executive for consideration. The land is a huge asset though and has risen in value every year for the last decade. This is an age old argument. How much gain is that land reaping the Council per year compared to a sell off? I wouldn't sell. But The Council might be desperate. No one can say this has not been throughly investigated. All the council's small holdings have been up for review since but recently there has been another review of all the small holdings. 1918 all county councils were asked to put aside land for returning soldiers from the war who wanted to farm. Rent these farms for a few years then move to something else. Times have changed and years move on, no one seems to be entering agriculture in the same way as before. Does the council sell these farms to raise capital? No 1 Ledbury Road, day centres, money for the elderly and disabled. Tough call, but if all the small holdings the council owns raise Â£50K........! Should I vote to sell and the money go to social care or wait for the next ex service man/ woman who has no farming training, to claim the right to rent one of the small holdings? The Council is desperate it seems and 2 of these farms just happen to lie in the path of the Southern Link Road - those tenants dont stand a chance as the Council will give themselves planning permission for the road and then sell these farms for building thousands of new houses in south Hereford. Local families lose their homes and jobs but lots more retired people from the South East can move in instead. Just hope they aren't the sort that need to use a hospital or like to read books. Chris I understand your dilema. There are many youngsters desperate to get into farming and nowadays I understood that these council farms were for that purpose. The problem as I see it the Council will sell off these farms causing terrible desparation to the tenants. They will be back to square one and probably have to start looking for alternative employment. The larger farmers will buy them up and there will no small farms available for people who want to go into farming. This vast amount of money will just disappear into the black hole of Herefordshire Council and will not be used for what it should be used for. The question is Chris do you want to see houses or land being farmed for production for food. This country is only 64% food self suffienct which is frightening really. Yay, another bloody nose for the tories, locally this time, and hopefully not the last. Herefordshireâ€™s Conservative administration suffered its first defeat since taking power in May when councillors voted to save the countyâ€™s smallholding estate, writes Green county councillor JENNY BARTLETT (Leominster East). To retain the estate and secure its viability through a structured partial sale to provide viable starter and progression farms. Or: Sell the whole estate to pay for debt relief....thus paving the way to borrow more to pay for new infrastructure like roads? After a strongly argued debate the full committee voted to recommend keeping the county's smallholding estate. The vote came down to the wire and was carried by the chairmanâ€™s deciding vote. This was a small victory for the combined opposition against the city-centric, outdated growth agenda of the current administration and their short-sighted response to the challenges of austerity. Yes we need homes, jobs and infrastructure but they must benefit all of Herefordshire. Let us not throw out all that is good and unique in our beautiful county. This is the first time so far in this administration that the 'vote' has gone against the conservatives and cabinet's wishes. It remains to be seen how they tackle the thorny issue of going against Overview and Scrutiny's recommendation should they go ahead and sell off the smallholding estate anyway.â€ â€“ Councillor Jenny Bartlett. Hereford Visions shared Herefordshire Green Party'sphoto. Refers to Herefordshire Council plans to sell off council owned farms but Minister admits not a lot he can do. More family silver to be sold off but I suppose it is of no real surprise. Osbourne more or less today told the Councils to get selling some of their assets. He did Denise and also gave the green light (or perhaps that's a blue flashing one) for Councils to seek higher local tax rises or levys for services like social care. So increased CT, additional precepts and reduced funding again for roads and transport. However one glimmer of hope. Could we possibly see the funding for the Southern Link Road withdrawn after all it was to be removed anyway by March if planning approval had not been agreed,maybe the Chancellor has clawed back the money from the Dept of Transport who apart from those schemes already approved seems to be paying for those other government departments where funding cuts have been reversed! Article on The Faming UK website as well. Harry Bramer is to blame apparently. Herefordshire Council not following proper governance procedure and/or best practice, again. "Despotic oligarchy." I liked that bit, although personally I think plutocracy is nearer the mark. Harry bramer what a surprise he does like to flout the rules does old Harry naughty old geezer! I am not surprised as I have never heard much good said of Mr Bramer . My friend told me that a few years ago Mr Bramer was found to have breached the code of conduct when he was chair of the overview & scrutiny committee, voting that he keep his job and the allowance it gave him at that time https://www.herefordshire.gov.uk/media/6557218/SC1137_and_39_Cllr_H_Bramer_Short_Decision_Notice.pdf . This standards decision never made it in the local press to my knowledge unlike complaints about opposition councillors. Thats why I never buy the local paper anymore as it only has articles written by Conservative party members or supporters. I'm sure that Councillor Bramer is a "legitimate businessman" and would never seek to use his influence in an untoward manner. George Dunn has been trying to advise HC since 2008 but sadly it appears it is falling on deaf ears. Herefordshire county council has been warned against making a â€œdash-for-cashâ€ as it considers a proposed sell-off of its farm estate. The warning, by Tenant Farm Association chief executive George Dunn, came in a strongly worded letter to the sole councillor who has the final say on the future of the countyâ€™s farms. Mr Dunn said he was alarmed to hear the Conservative councillor, Harry Bramer, may have already decided to go ahead with the farm sell off even though a long-awaited review of the councilâ€™s estate would not be published until November. The review was carried out by a team of council members but Councillor Bramer alone will decide the fate of the farms. â€œI am deeply disappointed that this thorough review will just be a box-ticking exercise of no consequence to the decision in the end,â€ Mr Dunn said. He added: â€œThe county council should not be seduced by a short-term â€˜dash for cashâ€™ which will leave the local authority worse off. Mr Dunn also said a previous review in 2008 had concluded the farms should be retained. In addition the 2008 review suggested the councilâ€™s management of the asset should be improved. â€œTax payers need to be informed that the council has failed in its duty to manage the farms estate appropriately and in accordance with the conclusions of the 2008 review,â€ Mr Dunn said. â€œI fear that the county council is about to compound its bad management over the past seven years with a bad decision based on political ideology as opposed to pragmatism, best value and a long-term view,â€ he warned. The TFA has called for a more time to consider the findings of the latest review and for the final decision to be made by the full council and not just a small group of councillors or individual. Following a 12-week period of consultation on the review, a decision about the future of the smallholdings estate be made by the full council not just one individual. Herefordshire County Council has not responded directly to the TFA letter but issued a wider statement on its farm estate. The statement said: â€œAs a result of substantial government funding reductions, Herefordshire Council needs to significantly reduce its budget and make unprecedented changes to the services it delivers. The statement added that the council had engaged directly with smallholding tenants through a questionnaire and participation event and their views along with those of a number of stakeholders were being considered. â€œThe review is also included in the priorities and budget consultation, which is available to members of the public on the councilâ€™s website until Friday 9 October. â€œThe smallholdings review is still ongoing and the findings and recommendations will be presented to the councilâ€™s overview and scrutiny committee in October,â€ the statement added. The Tenant Farmers Association has slammedHerefordshire County Councilâ€™s decision to proceed with the sale of part of its farm estate. The council is planning to sell some 400 acres which is just short of 10% of its total county farms estate. George Dunn, TFA chief executive, said: â€œThis is bad news all round and sends the wrong signal for all sorts of reasons. It was not very long ago that the council was making clear its commitment to retaining county farms and here it is within a short period of time confirming that it is selling a large chunk of its estate. â€œA major concern for us is the impact on the tenant farmers on the estate and their families. Many, if not all, of these tenants rely upon these farms for their livelihood and future security. â€œThe county council is supposed to be encouraging new entrants into farming and helping them find ways sustaining their businesses into the long term. However, all they have succeeded in doing is upsetting them. I am involved with a number of individual farm families on the Herefordshire Estate where the stress caused by the uncertainty is causing illness, depression and family problemsâ€, said Mr Dunn. But in a statement Herefordshire County Council said it was only selling a small but expensive-to-maintain part of its estate. The council pointed out that it has since agreed to recommend for funding a capital improvement programme of Â£500,000 a year for the next three years â€“ or Â£1.5 million in total â€“ to improve the condition of the buildings on its smallholdings. Herefordshire Council owns 73 tenant farms in total. Are you affected? Share your thoughts on the forums? Cabinet at @HfdsCouncil has just voted unanimously to sell off 4,800 acres of farmland currently occupied by 45 tenant farmers. In case you people have not heard. I thought I had posted this earlier but obviously had a slight of hand! Senile gerontocracy flogs off family silver to fund more interims, pay offs to disgraced officers and white elephant vanity projects. I suppose this will keep them afloat for a while but what happens when that money runs out? What are they going to sell then? A gerontocracy is a form of oligarchical rule in which an entity is ruled by leaders who are significantly older than most of the adult population. The money raised Denise won't even scrape the top of the growing debt mountain. Huge problem this! Latest public consultation puts the small holdings at the top of the list of things the public want to sell to raise money! Could be the public do not know what they are talking about, but I do't know! The public may not have the same facts as the council! The other problem is that these small holdings are suppose to be for people entering agriculture who can not afford to buy a farm or rent one in private sector. Tenancies only suppose to be for ten/ fifteen years, to allow for youngsters to come into agriculture. So I wonder how many tenants will have to give up their farms if the are not sold? Still Â£48m would keep No1 Ledbury Road, help with adult and children's services, might help public transport subsidies! I just do't know which way to go with this, people or agriculture!!!! The Tenant Farmers Association is pressing Herefordshire Council to release a report on its smallholdings estate. TFA Chief Executive George Dunn said â€œWhen the County Council announced its review of its County farmsâ€™ estate, it appointed consultants, Fisher German, to produce a report to inform the review. The tenant farmers who live with their families on the estate and stakeholder organisations were given assurances that the report would be placed in the public domain as part of the evidence base for the review. Eighteen months down the line and this report has not seen the light of day. â€œIt is bad enough the report is not in the public domain but it is even worse that the document was not made available to the County Councilâ€™s own Task and Finish Group tasked with preparing recommendations for the future of the estate or its General Overview and Scrutiny Committee which was charged with making recommendations to Cabinet. "However, despite the unavailability of the document, the recommendation to Cabinet was to retain and rationalise the estate. Cabinet has wholly rejected this recommendation and will be pushing for the sale of the estate when it meets tomorrow (03 December),â€ said Mr Dunn. â€œWe donâ€™t even know if the report is helpful to those of us who are pressing the Council to retain and better manage its estate but it is simply appalling behaviour that the report is not in the public domain. Better to have all the information in the open so that good and accountable decisions can be made rather than individuals feeling that they have been left with a job half done,â€ said Mr Dunn. â€œI have been in contact with all of the County Councillors to press that decisions about the future of the County farms estate should be pushed to Full Council for consideration rather than left with its Cabinet. However, the Constitution of the County Council provides its Cabinet and individual portfolio holders within the Cabinet with effective â€œcarte blancheâ€ to do what they like regardless of what the rest of the Council or the residents of Herefordshire want. Whilst it may be too late for County farms, this Constitutional dictatorship within the County must change,â€ said Mr Dunn. The cabinet at Herefordshire Council has voted unanimously to sell off 4,800 acres of farmland it owns. The 45 tenants were earlier reassured by the leader of the council the sale would mean a change of landlord and not them losing their farms. On a lot smaller scale Nieuport Estate Almeley was sold off in 2009/10 by HC under very similar circumstances . It did not cause the same furore but was for the same reasons. It sounds ideal. The former Nieuport Estate on the outskirts of the unspoiled village of Almeley in West Herefordshire. Local agent John Amos & Co asked for formal tenders by last Thursday, 12 February. But now the vendor, Herefordshire County Council is under fire for â€œselling off the family silverâ€. The 391 acres of holdings represent typical Herefordshire mixed farming units. All of the land is of a fairly level nature with productive soil structure and represent an ideal opportunity to acquire established farms, with ranges of modern and traditional farm buildings, together with good access to all parts. The Tenant Farmers Association has criticised the council's decision to proceed with the sale of holdings from its farm estate totalling just short of 10% of its total county farms estate. TFA chief executive George Dunn says: "This is bad news all round and sends the wrong signal for all sorts of reasons. It was not very long ago that the council was making clear its commitment to retaining county farms and here it is within a short period of time confirming that it is selling a large chunk of its estate. This is bad news for the democratic process within the local authority as people understandably begin to doubt what they are being told from County Hall. â€œIt is also extremely bad news for council tax payers. There is now strong evidence that the best return to council tax payers from ownership of farmland comes from careful, long term, strategic asset management of the estate which allows for the sale of relatively small pockets of high value land for development purposes whilst retaining the bulk for statutory purposes. In selling away the family silver in large chunks the council is denying council tax payers the opportunity of the long term benefit they deserve. 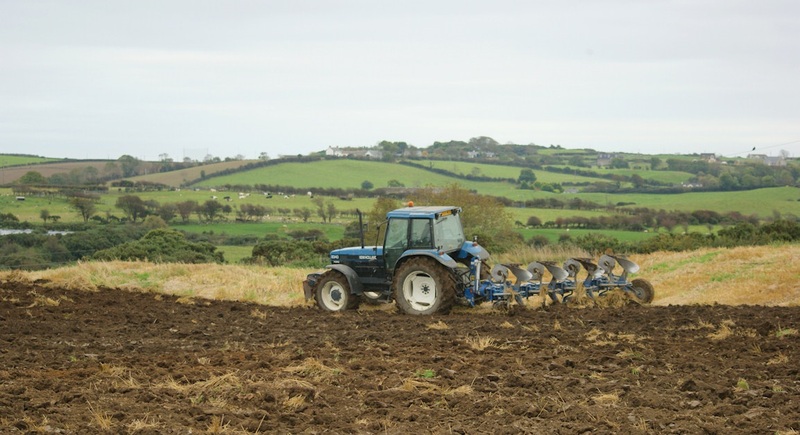 â€œThe County Council also appears to have ignored a recent influential report from the Government's adviser on sustainable rural development, Sir Don Curry which sought to encourage local authorities to manage their county farms estates for the benefit of agriculture more widely, the local economy, the local environment and for recreational and educational activities. In selling off this large tract of land the County Council has turned its face against providing these much sought after benefits. "A major concern for us is the impact on the tenant farmers on the estate and their families. Many, if not all, of these tenants rely upon these farms for their livelihood and future security. The county council is supposed to be encouraging new entrants into farming and helping them find ways sustaining their businesses into the long term. However, all they have succeeded in doing is upsetting them. I am involved with a number of individual farm families on the Herefordshire Estate where the stress caused by the uncertainty is causing illness, depression and family problems. The TFA has also held discussions it describes as â€œconstructiveâ€ with North Yorkshire County Council about its policy towards its county farms estate. TFA national vice chairman Stephen Wyrill, who farms on the North Yorkshire estate, says: "North Yorkshire County Council's policy of progressive disposal of its estate is not something which has found favour with the TFA. The TFA believes that local authorities should be retaining their estates and using carefully crafted asset management plans to ensure that council tax payers are obtaining the best possible value through, strategic, planned disposals of small pockets of relatively high value land for development use whilst retaining the remainder of the estate statutory purposes. This is something which has been echoed in a recent, influential report from the Government's adviser on sustainable development, Sir Don Curry. I am pleased to say that the County Council agreed to consider the conclusions of Sir Don's report and how this might impact upon its ongoing management of its estate." In cases where the Local Authority has decided to continue with a disposal of a holding the TFA also expressed concerns that the way in which the Local Authority handles sales to sitting tenants in comparison to the sales with vacant possession in the open market, discriminates against sitting tenants. When selling a farm the Local Authority includes within the contract of sale various claw back provisions. Sitting tenants face financial claw backs if they obtain any financial benefit from development in the 30 years following their purchase or any general profit from sales within the first 10 years of the purchase. Purchasers in the open market only face the claw back on development profits. â€œThis is unfair to sitting tenants who, in order to finance the purchase of their holdings, often need to sell a small proportion of farm to manage the cost of the purchase. I am pleased that following our intervention North Yorkshire is prepared to look at this again,,â€ says Wyrill. Discussions also covered other issues including repairs, rent reviews and investment in fixed equipment including the fixed equipment that will be required to meet the statutory standards of the new Nitrate Vulnerable Zone Regulations.